Get VIP Exclusive Access to One Burrard Place! Beat the Crowd! Fast track to the front of the line! VIP ACCESS to One Burrard Place! View this luxury development before anyone else and gain the Insider Advantage for the sophisticated buyer or investor. This one of a kind sky scraper is set to change the Vancouver skyline. 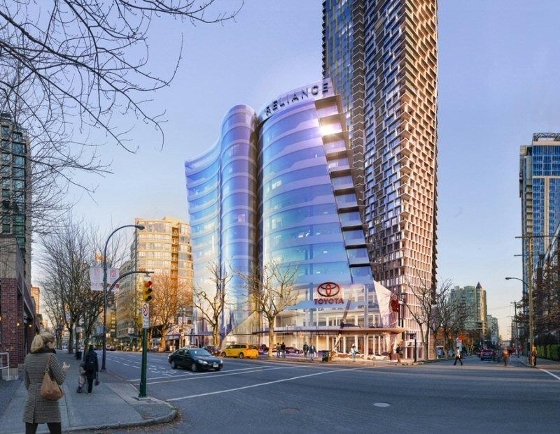 One Burrard place will be a mixed use development consisting of a signature two 60 storey towers and a 13 storey office building including the future flagship Jim Pattison Downtown Toyota, totaling over a million square feet of residential and commercial space. This development is huge and will consist of 810 housing units. Striking uninterrupted views of English Bay, North Shore Mountains and the Downtown Skyline can be seen from floors 31-60 in all directions. Don't miss this opportunity to beat the lines and get exclusive VIP access to this development as well as agent exclusive bonus upgrades and rewards.